13 convicted include a vision impaired couple. Most Pentecostals are day laborers. 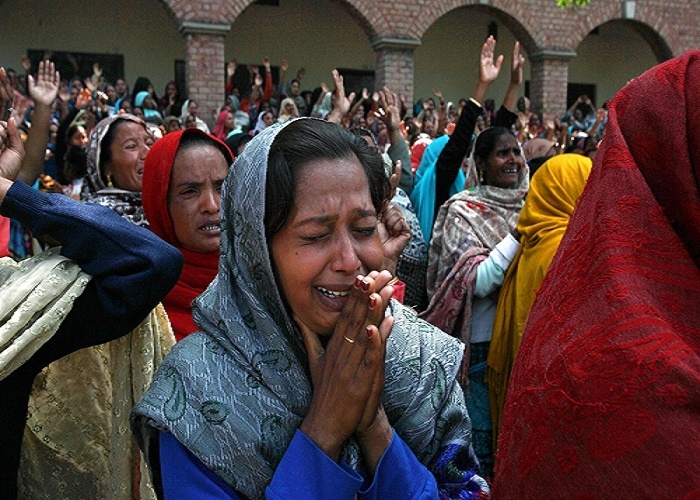 The government led by Hindu nationalists "arrests Pentecostal Christians with groundless imputations". Mumbai (AsiaNews) - A court in Madhya Pradesh has sentenced 13 Pentecostal Christians to six months in prison for alleged "forced conversions". The condemned include Balu Kesu and his wife Bhuri, both of whom are vision impaired. Their defense attorney Kamlesh Patidar tried to obtain a reduction in the penalty for their handicap, but the judges were adamant. Speaking to AsiaNews Sajan K Gerge, president of the Global Council of Indian Christians (GCIC), laments "the vulnerability of Pentecostal Christians, including the two visually impaired tribals. They are victims of harassment, intimidation and arrests on the basis of allegations made in our secular India ". Govind, one of the plaintiffs, told the police that one day he was sitting at home with a friend when the condemned Christians came in to visit him. The Pentecostals would have told him: "We were also Hindus of the Bhil tribe in Bhilala, but we converted to Christianity. If you too convert, we will give you food, medicine, and we will help you invade the lands of the government because your gods and goddesses are weak ". The Christian leader explains that the Madhya Pradesh Freedom of Religion Act "requires anyone who wants to change religion to obtain permission from the state administration. In the case of Madhya Pradesh, the state is governed by the BJP [Bharatiya Janata Party, right-wing Hindu nationalists - ed] who, armed with the law and [with the support] of majority groups, arrests Pentecostal Christians with baseless charges. In this case the money supply was used, which is false and unfounded. But the majority groups have the best and the Christians are instead incriminated ". Sajan K George calls for reflection: "The daily wage earners, eke out a living, with hard labour, and it is physically impossible for them to allure others. How does one describe, “inducement” or “allurement” it is contentious, and this is used as a weapon for harassment. Regrettably, the Tribals and the Dalits suffer the most under the administration, who are only interested in their subjugation and retaining them in the oppressive hierarchical social structure".